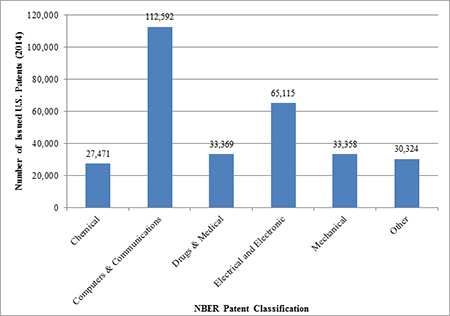 Computer and communication technology patents and electrical and electronic technology patents were the most granted in 2014. The Electrical and Computer practice group is a talented group of attorneys and patent agents with degrees in, among other fields, electrical engineering, computer science, and physics. Besides a deep understanding of diverse technology, many members have industrial experience, meaning they have a real appreciation and understanding of legal issues associated with technology. know how to explain the complex technology underlying a patent claim to juries, judges, and patent examiners. This is our way forward to help you maximize your electrical and computer patent portfolio.